群馬県 = ぐんまけん ➡️ Gunma Prefecture. みなかみ町 = みなかみまち ➡️ Minakami Town. 八木沢ダム = やぎさわだむ ➡️ Yagisawa dam. Water jug of metropolitan area. 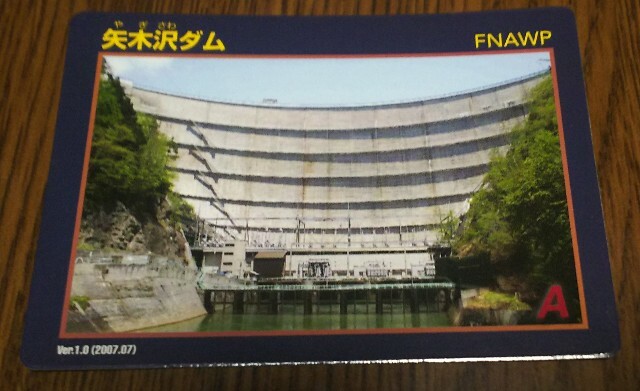 There is a dam card in Japan. Go to the management office and say "Please give me a dam card". 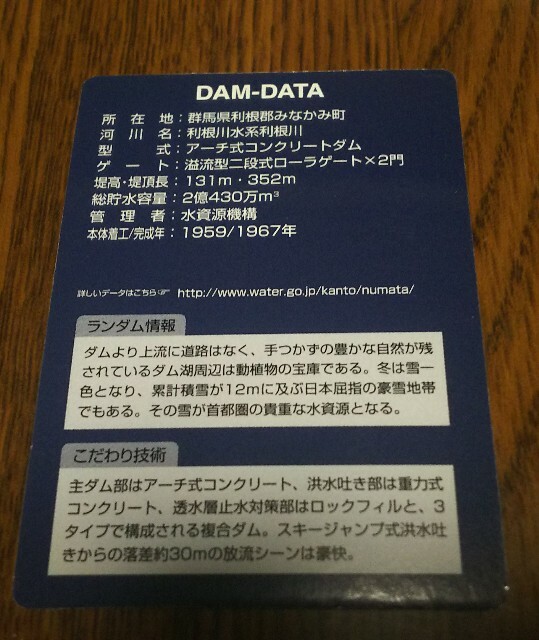 Various data are listed on the back side. Some dams have rare cards that are shining.